There are going to be a lot of villains taking up seats on this Jungle Cruise. 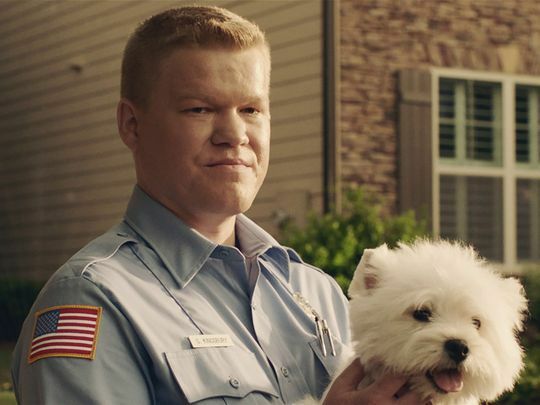 Not long after Edgar Ramirez boarded the Disney adventure as a bad guy, Other People and Game Night star Jesse Plemons has joined as another. Plemons joins what is shaping up to be a stellar cast that includes Dwayne Johnson, Emily Blunt, and Jack Whitehall. The film is based on the Disney theme park attraction and is seen as the start of a new franchise, just like Pirates Of The Caribbean. Johnson plays a boat captain escorting siblings to a tree that supposedly has healing properties, but others are after it, too. Shooting on Jungle Cruise begins this summer with Jaume Collet-Serra behind the camera. He's the guy who usually does those thrillers with Liam Neeson where he's stuck in a moving vehicle. How has Neeson not been cast for this one yet?